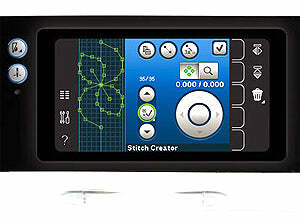 Performance 5.0 has over 300 stitches, 4 fonts, patchwork program, LED lights, stitch creator, IDT system. Pfaff Performance 5.0 Sewing Machine. 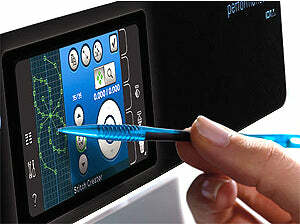 Pfaff Performance 5.0 Key Features. Integrated Dual Feed only from PFAFF for over 45 years! Absolutely even fabric feed from both the top and the bottom. Straight Stitch Needle Plate Sensor. Your performance 5.0 sewing machine alerts you if you try to select a stitch other than a straight stitch when the straight stitch needle plate is attached. The PFAFF performance 5.0 sewing machine is the perfect choice for quilters, home decor sewers, fashion enthusiasts – anyone who creates. The sewing area to the right of the needle is supersized for sewing large amounts of fabric or batting. 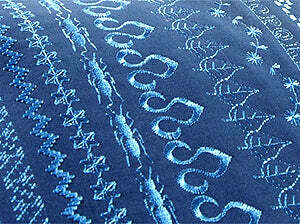 Tapering on all 9mm Decorative Stitches. Pfaff Performance 5.0 Included Accessories. 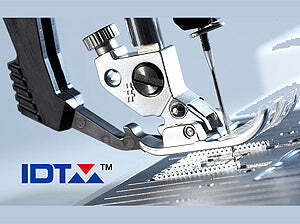 0A - Standard presser foot for IDT system. 1A - Fancy stitch foot for IDT system. 2A - Fancy stitch foot. 3 - Blindhem foot for IDT system. 4 - Zipper foot for IDT system. 5A - Sensormatic buttonhole foot. 5M - Manual buttonhole foot. 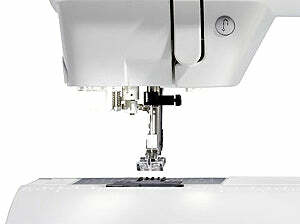 6A - Embroidery/Sensormatic free-motion foot. 1/4 Inch quilting foot for IDT system. Edge guide Felt pad (2). Brush Spool cap, large (2). Over 300 Stitches – Be astonished by the fascinating selection of PFAFF high-quality 9mm stitches – unique embellishments, stitched perfectly.